You may be surprised to learn who your customers really are. Brand storytelling reflects your prospects and leads expectations. And it comes from research, not seat of the pants guesswork. You need to understand pertinent demographic information that can help guide your SEO and PPC and social media activity? If you know your customers well, then you’re on your way to having an engaging website that will help drive sales and supporters. If not, it’s time to get started. Buyer personas are a representation of your ideal customer. 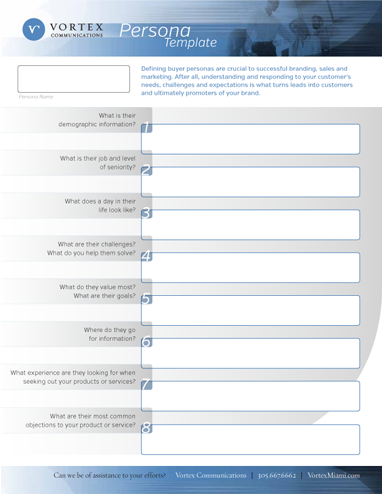 Personas better define your prospects, leads and customers. Well-developed personas can help ensure your content is providing the answers and solutions the market is looking for. And they can help focus your social media efforts as well as guide online and print media planning. You probably have a lot on your plate. 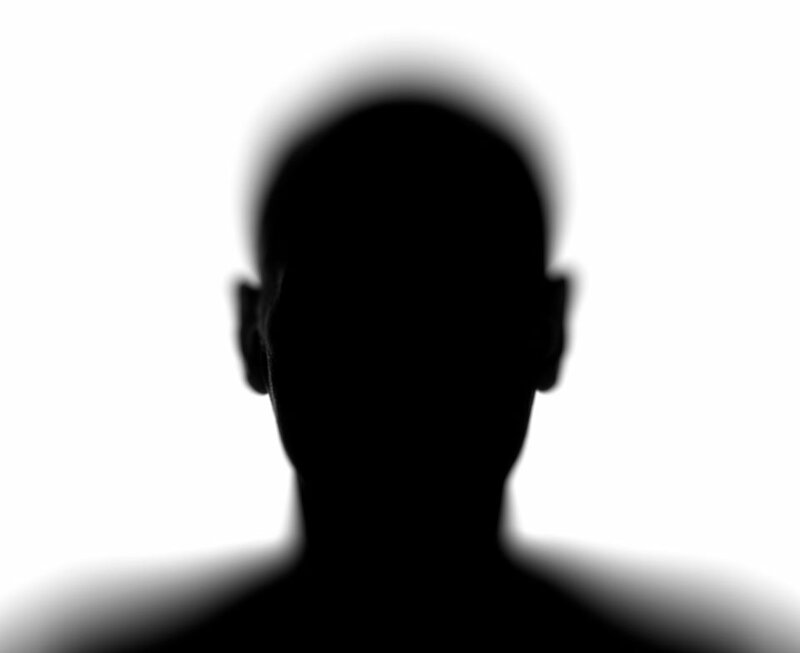 Vortex can develop Personas for you. We’ll work with your team to identify the various personas your company targets, and maybe some you haven’t considered. We’ll conduct research and interviews with existing and potential customers to create a set of profiles that give you a unique understanding of their needs, wants, pain points, and how your product or service addresses those issues. Get a custom report with plenty of insights. For you, and your team. The results of our buyer persona development process comes in the form of a custom-designed report that you can share with your Sales and Marketing teams to bring everyone into alignment. When your team has a common understanding of the needs and challenges, tailoring content is much easier for website, social media, offers landing pages and even your blog. To learn more about the benefits of persona development, contact us today. 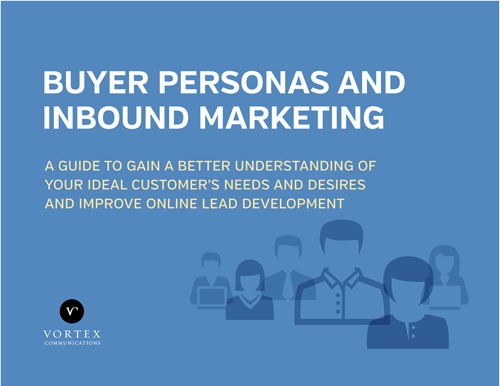 WE’ve even edited resources on buyer personas. Get a copy with any request for proposal.